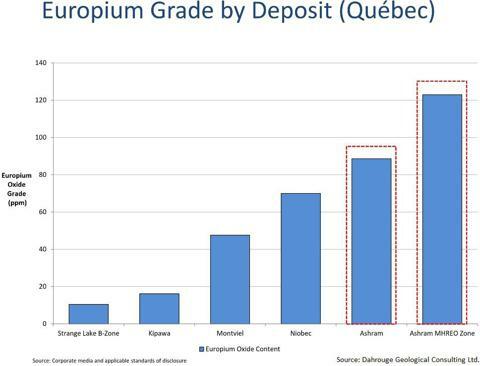 There are many aspects to the success of a rare earth element ("REE") deposit being developed into a mine. Yet the question arises: Why are so many REE projects not put into production while standing still with "robust" economic studies? John Kaiser of Kaiser Research Online argues that there are 3 deal breakers when assessing the quality of a REE deposit: 1) rock value; 2) tonnage footprint; 3) distribution of metals. Does any of that include cutting the wheat from the chaff a.k.a. metallurgy? Chinese refineries process mineral concentrate feeds of +30% TREO with +60% recoveries, and so this is what they are looking for. Consider that! With REE deposits, it all comes down to acid consumption; typically the largest cost. Less material means less acid, which means less deleterious elements into solution, which means less cost to deal with that solution, and less complications throughout the process. The ability to produce a salable mineral concentrate is paramount for REE companies aiming at developing their deposit into a mine. However, finding public disclosure details on mineral concentrates is difficult or impossible in the REE sector as most tip toe around it. An obvious reason for this is the complexities in making a concentrate which meets the criteria of a refinery. It is often the case that only part of the information is disclosed, so that the reader cannot fully assess its significance. In April 2013, Avalon Rare Metals Inc. (NYSEMKT:AVL) published a "positive" feasibility study on its Nechalacho Deposit in Canada´s Northwest Territories. A few days ago, Avalon announced that it is yielding improved recoveries for both the concentrator and hydrometallurgical plant at around 80% compared to 42% in the April 2013 FS. However, the feed grade and final mineral concentrate grade has never been disclosed, and the mass pull reported is unclear whether it is design criteria or actual test result. The silver bullet question: Why? The costs of the Nechalacho Project stand at $1.5 billion. Avalon´s CEO, Don Bubar, recently moaned: "Raising capital is the biggest challenge. We need to find customers and have them enter into off take agreements before we can secure project financing." Jay Currie, who interviewed Don, explains one side: "Part of that challenge is that none of the 15 rare earths have ready markets in the same way as iron or coal do." The other part of that challenge must be that Avalon produces such a low quality concentrate that it does not disclose a word on it? 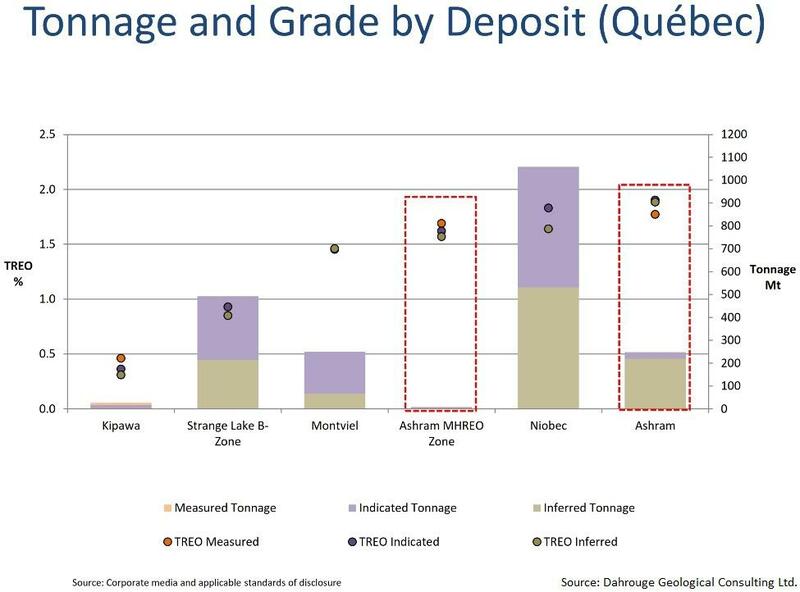 Back in 2009, John Kaiser´s evaluations of Quest Rare Minerals Ltd.´s (NYSEMKT:QRM) Strange Lake Deposit helped to put the company on many investors´ radar; for example: "An astonishing rock value of US$304/ton for those samples Quest plucked from the main outcrop of the Strange Lake Deposit." Since then, the company "successfully" defined Strange Lake as "the world´s largest HREE resource" (according to the company) with 4.4 million tons of rare earth oxides out of which 1.6 million tons are HREE (Heavy Rare Earth Elements are the rarest form of rare earth oxides). 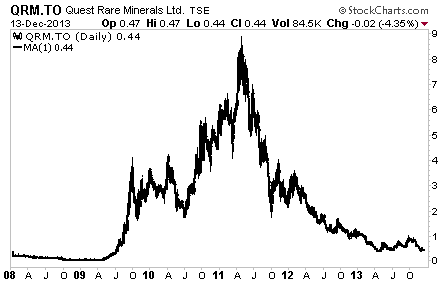 Strange Lake´s HREE, as a percentage of total rare earth is also one of the industry highest at 40%. The 2013 pre-feasibility study ("PFS") shows "robust" economics, such as an IRR of 26% and a NPV of $1.9 billion (both pre-tax; unlevered with a 10% discount rate). So what happened despite such "fantastic" fundamentals? Like many other REE projects, Strange Lake is located in northern Canada. 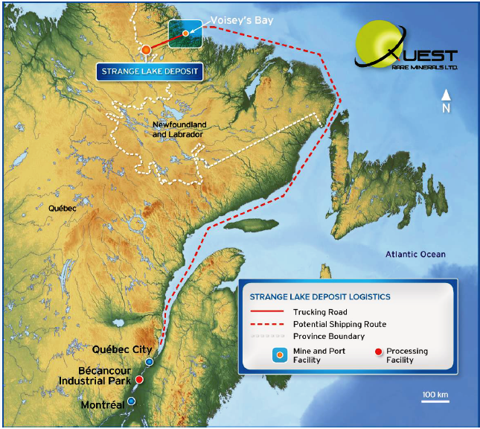 In order to get their material to the port at Voisey Bay, Quest must build a 170 km long road. Following that, it is their stated plan to ship their deposit to the processing facility in Becancour which is some 2,000 km away, down the Atlantic coast. The entire deposit is to be put in containers and transported with trucks and ships for 2,200 km? 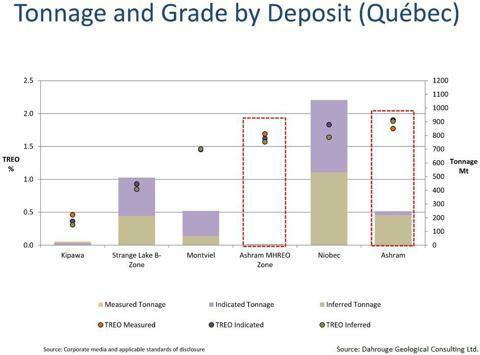 Yes, according to the company and no matter how strange this quest may sound to you: "The PFS results are based on whole-ore, to be mined at Strange Lake, trucked to the Labrador port facility, and then shipped…" In earnest, Quest plans to feed its hydrometallurgical plant (that costs half of the $2.6 billion in total project construction costs) not with a concentrate but with whole ore. Consider that! In terms of being economic in the REE sector, ultimately you want to produce the highest grade mineral concentrate you can, because then you reduce the amount of material that then will go into solution and you will need to transport less material to where the acid is. Typically, it is the amount of material you plan to dissolve in acid that decides if a REE project is truly robust. Acid is expensive, and it is this question of the amount of mineral concentrate being dissolved in the acid where investors should focus when assessing if a REE project is feasible. Stage 1: Reducing the waste rock (i.e. producing a mineral concentrate on site). The company that can reduce its waste rock the greatest is going to have the least amount of material going into the next stage. Stage 2: The solution stage (i.e. dissolving the mineral concentrate in acid). This is where the costly acid comes into play. It is important to understand that eventually any company can dissolve their entire ore body ("whole ore") with acid, but it is the amount of acid required that is the key to success. That´s exactly where the buck stops. Remember that refiners want mineral concentrates with +30% TREO along with +60% recoveries? Consider that again now and see that there is only one project with a better than 30% mineral concentrate! 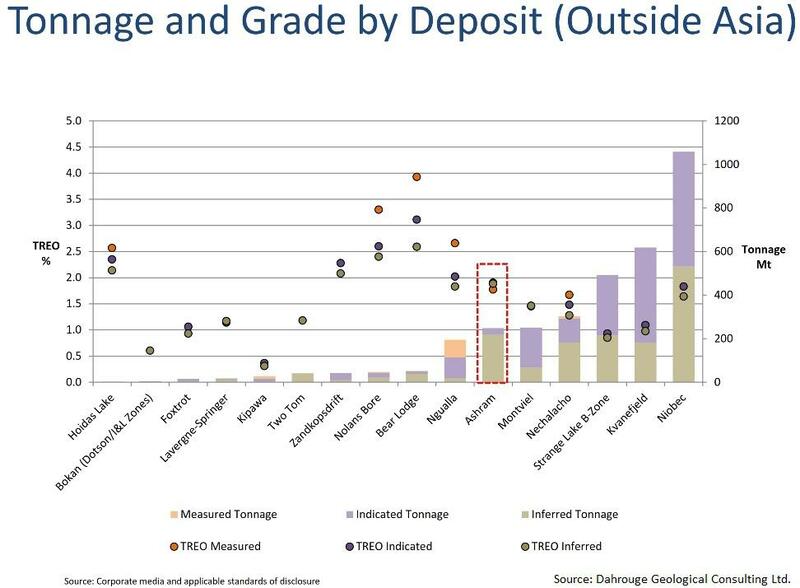 With a TREO grade of 44%, Commerce can produce the highest grade concentrate of all major REE projects in development. That is 3 times higher than the next closest competitor. 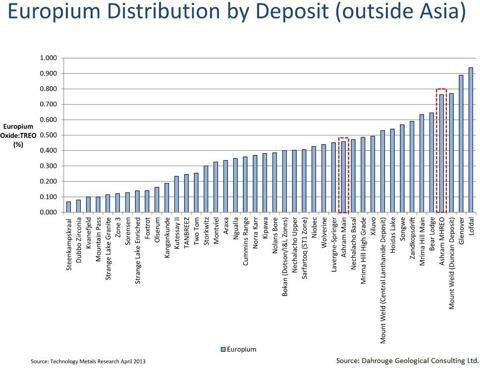 Of equal importance, Commerce is capable of reducing Ashram´s mass by 97%, which means that 97% of the deposit is waste rock and Commerce can strip that out (on site!). Ultimately, Commerce only needs to put into solution 3% of the ore body (instead of 100% like Quest). Initial indications are that the process to do so is inexpensive. Avalon mentions a mass pull but it remains unclear if it is an actual test result or rather a design criteria. At the end of the day, Avalon seems capable of only producing a 7-8% concentrate, so there is still substantial waste in their mineral concentrate they would need to process. Importantly, Commerce uses a hydrochloric (HCl) acid leach to create this concentrate achieving an additional 50% mass loss with it along with a 100% recovery and a more than doubling of the grade. And Commerce does so with a relatively small amount of acid (stage 1) that in turn reduces further the acid consumption to get the REE into solution at the refinery (stage 2). This is achieved with a very simple process as well. In terms of economics, REE companies must bring their material, commonly a mineral concentrate, to a hydrometallurgical plant ("refinery") for final extraction of the REE, because this is typically cheaper than transporting the acid to where the ore is. For example, if Quest wants to transport 1,000,000 tons of rock to the processing plant some +2,000 km away: If Commerce was to extract the same amount, they would only need to transport 30,000 tons of material to the refinery. That´s a big difference. The CAPEX for Commerce´s Ashram Project is relatively low with less than $800 million as per their 2012 Preliminary Economic Assessment (PEA) - however, given the latest breakthrough in metallurgy, the construction and transportation costs could be substantially reduced. So if Commerce has succeeded in producing a formidable mineral concentrate, then shouldn´t others be able to do the same now? No, because as we have learned from John Kaiser, each REE deposit is unique in terms of geology and mineralogy. The REE in Commerce´s Ashram Deposit are hosted by the most favorable REE carrying minerals in the world - namely bastnaesite, monazite and xenotime (which historically have been processed commercially!). These host minerals are the reason why the company is in a position to achieve such outstanding metallurgical results. To complete the overall picture, somewhat sketched by Kaiser, of a REE deposit becoming a deal breaker or company maker, consider that Commerce´s Ashram MHREO has a fairly "astonishing" rock value of $634/ton, whereas Strange Lake´s Granite yields $399/ton. Quest has more tons but at lower grade than Commerce, thus Quest has less contained tons. Why is Commerce trading at 6 cents and Quest at 50 cents? Because the market doesn´t get it (yet). Consider that as fortunate! Rockstone: How significant is the news of December 4th for Commerce Resources? Darren Smith: Very. To my knowledge, this is one of the highest grade mineral concentrates, if not the highest, produced for any developing rare earth project. Further it has a recovery that is very favorable. 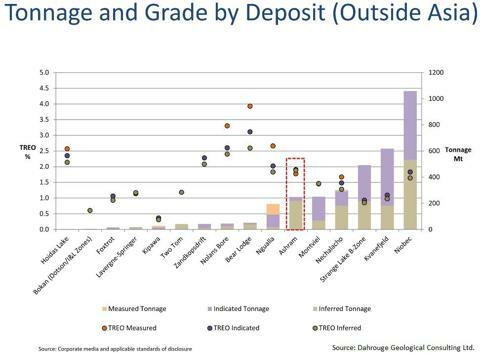 Most RE deposits would target 60-70% recovery at this stage. This is our best result to date in terms of TREO grade and recovery and follow our anticipated flowsheet route that is now clearly taking shape. The focus is on improving the recoveries further as we do not now find it difficult to create high grade mineral concentrates. Further we produce a fluorite concentrate with no added effort or cost since it´s all part of the process to recover the rare earths. If the economic evaluation in the PFS is positive for that as a by-product it would be a great addition to the cash flow and still one that we do not need to rely on as noted in the PEA (economics of a fluorite concentrate is not included in the PEA). Typically the largest OPEX cost for a rare earth project is the mineral processing and subsequent hydromet. 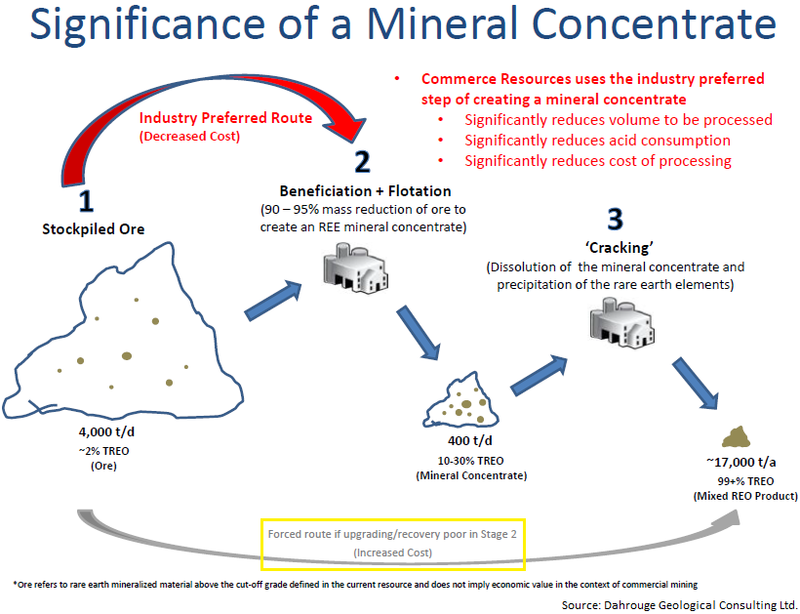 The fundamental way to reduce this cost, for any project, is to create a mineral concentrate (see attached illustration). This drastically reduces all downstream costs and simply put, you process less material to get your end-product. You make the process much simpler as you have less unwanted elements to deal with downstream. Therefore the importance of a mineral concentrate cannot be stated strongly enough. So essentially, all companies prefer to create a mineral concentrate first before sending the material to hydromet where the mineral concentrate is dissolved to the get the REEs out. If not, you dissolve your whole ore!.. which you never want to hear as this implies processing a lot of unwanted material. 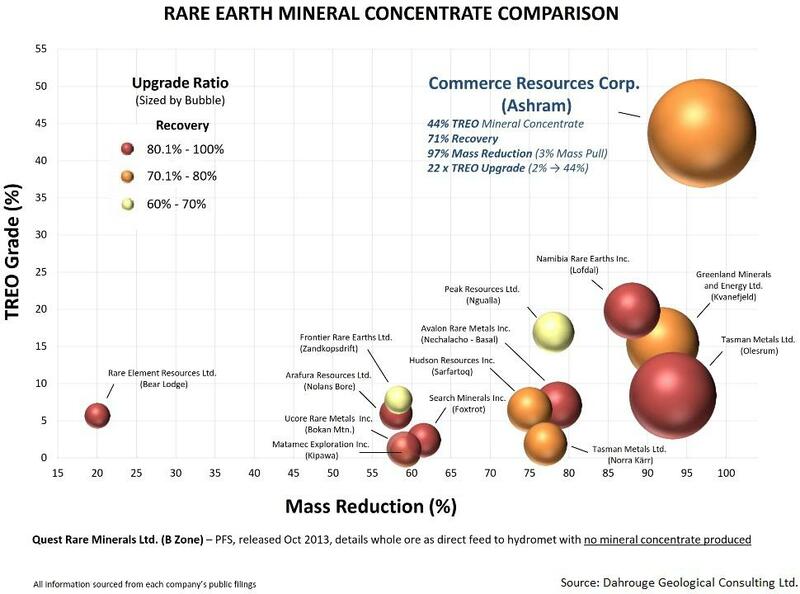 For a mineral concentrate you want to get the highest recovery of rare earths into the smallest amount of mass. This can be seen through nearly all the producing rare earth companies as they nearly all produce a mineral concentrate before further processing. The typical basic target I have heard from producers is 30%+ TREO for a mineral concentrate. Lynas, Mountain Pass, and many China deposits (non-ionic clay deposits) create mineral concentrates of at least 30% TREO. And if you look around, some of these companies are producing successfully. This is the same historically as can be seen in placer deposits for example that were economic due to their ability to easily produce a mineral concentrate. Rockstone: How does Commerce compare to the rest of the REE peers in respect to metallurgy? Darren Smith: We are at the top of the pack for deposits in development, which puts our deposit at the top of the pack as well, I would argue. This is because of our three main rare earth minerals that essentially process with the same conventional techniques (monazite, bastnaesite, xenotime). These three minerals have all been historically processed before, meaning we can rely on well-known techniques and do not have to re-invent the wheel if you will. 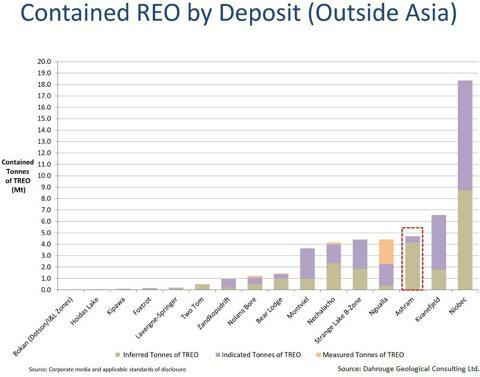 Further, these three minerals contain more REEs in their structure than any other rare earth minerals on the planet (>60% REO). So if you can create a mineral concentrate of only those three minerals it would have >60% REO as a grade. This leaves Commerce with still much from for improvement. The flip side is it limits the potential for many of our peers. Eudialyte for example may contain only 7-10% REO in its structure. So the best mineral concentrate grade that can ever be achieved if that is your only rare earth mineral is 10% REO! That is far from 30%. For heavy deposits, the best mineral you can have is xenotime. I don´t know any geologist that would disagree with that - there is nothing that comes close to comparing. So, basically, all rare earth companies wish they had simple, well-understood mineralogy with xenotime. Commerce has this and is why we can create such high grade mineral concentrates. 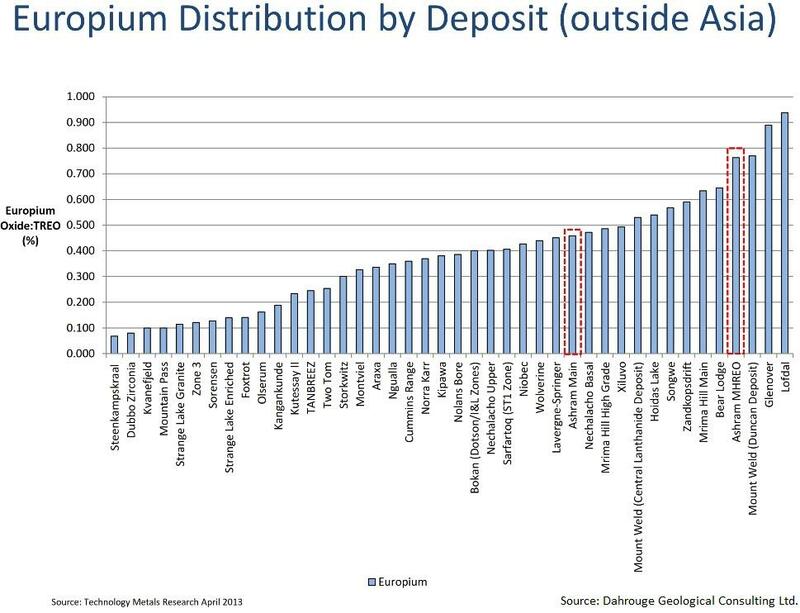 Rockstone: How important is the mineralogy for these REE deposits moving forward? Darren Smith: It is everything. The only worse thing is having too little tonnage as then nothing matters. A big reason other companies have trouble with metallurgy is that they have many rare earth minerals that contribute to the overall grade. Therefore, they are forced to get them all out. Commerce has only three main minerals but they all process very similarly so they essentially act as one mineral. Other companies may have greater than 10 REE minerals to deal with. These minerals have never been commercially processed before and they do not process the same. So it is a true nightmare sometimes and if solvable, requires very complicated processing and metallurgy, and thus, exacerbates costs. If you can´t create a mineral concentrate you will process more material downstream, this will not only increase your OPEX, but also your CAPEX as you require larger facilities and more equipment to process all that unwanted material. Only four rare earth minerals have ever been historically processed (monazite, bastnaesite, xenotime, and loparite) so if you are looking for a rare earth deposit, you target one with those four minerals as it would be expected their metallurgy will be far superior to those with minerals that have never been historically processed. 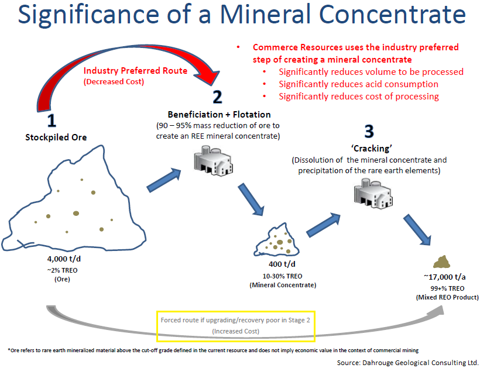 Rockstone: How important is it to be able to produce a high quality concentrate? Darren Smith: Via other points. It is paramount to cost reduction downstream. It is the cheapest and most effective method of getting to an end-product. Disclaimer: The author holds shares Commerce Resources Corp. and may sell those any time without notice, whereas neither Rockstone Research Ltd. nor the author was remunerated by any of the companies mentioned herein to produce or publish this content. Please read the full disclaimer at www.rockstone-research.com and within the full research report as a PDF (here) as none of this content is to be construed as an "investment advice" and conflicts of interest exist with Zimtu Capital Corp.